I bought a car from this dealership and am quite satisfied. I found the exact car I wanted at the price I wanted. 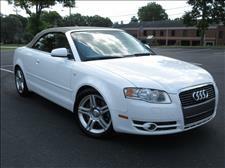 A 2007 Audi 2.0. The car was advertised on the CarFax website. I had missed out on another deal at another dealership a few days prior. 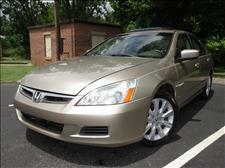 The CarFax listing was FREE and when I went to see the car Jose told me it was in the shop for detailing. I proceeded to talk about the price and making a deal “sight unseen”. I made an offer and Maurice agreed to my price. The car needed to have an additional part and some maintenance completed on it before I could see it. Maurice informed me that he would call me as soon as the car was completed. The part and maintenance took several days, however I was contact on Monday August 6, 2018 in the afternoon. I stopped by on Tuesday morning about 1130 am, test drove the vehicle for about 2 two hours, returned to the dealership... and left a deposit. When I returned about 45 minutes Susi had the paperwork complete and ready to go. The short wait was inconvenient; however the additional work was necessary to put the car in GREAT shape. They DID NOT ADD any additional cost to the price. They STOOD BY THEIR WORD and made the transaction EXCELLENT for this buyer. Great people, great integrity and they stand by their word. They are customer orientated and pleasant to deal with. I rate them 5 Stars. If the opportunity arises, would buy again. Great people, great service…… Will update in the future on the car. I expect the people and service will get BETTER. Life is Good! This is a LONG REVIEW BUT YOU SHOULD READ IT! 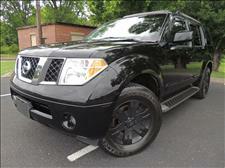 I purchased a great Nissan Pathfinder from select motors yesterday. I had intended to trade another car but they advised me that they would not be able to give me what I wanted and gave me several places that I should try and sell it on my own. As part of the sale they agreed to detail the car I was selling for me the next day. This is where the story gets complicated. I got to the dealership the next morning at 8 AM only to receive a text message and be told that the car detailer was not going to be in that day. I have driven 45 minutes one way to get to the dealer. It’s usually at that point the reviews like this turn into a nightmare but that was NOT THE CASE with select motors! Susi and Maurice both began to text me coming up with possible solutions. Another employee, Jose, arrived at work at 8:30 and although it was NOT HIS JOB he volunteered to do the entire detailing job for me! Maurice begin to text me helping me with some key issues on my purchase from the day before and connected me with his personal locksmith. THIS IS THE KIND of people and car dealers that are rare and go the extra mile! Life is not about what you get wrong but what you do with what you get wrong and Select Motors gets most everything right and when they Don’t they make everything right! BRAVO!! I will be back! These are great people to work with, we went for one car but got something else we liked better. Exceptionally friendly and bent over backwards to make our deal. Will go to them if I ever want another car. Thanks for a great experience.